Frequent guests are famous Scandinavian authors and scientists. Students get acquainted with the new arrivals in the book fund of the Nordic Library. Two ancient books - Bulgarian and Icelandic. The education in the Bachelor's Degree Programme of Scandinavian Studies comprises eight semesters and is not offered in the form of distance education. Upon graduation the students get a Bachelor's degree and there is no extra-mural form of education. The curriculum includes theoretical disciplines, common for all philology studies as well as theoretical and practical disciplines which are closely related to the languages, cultures and literatures of the Nordic countries. 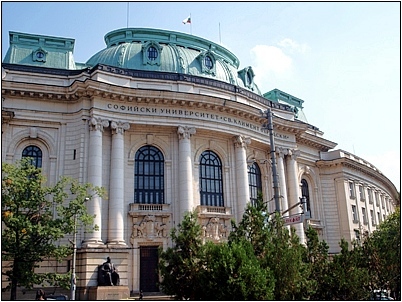 The academic staff includes highly qualified Bulgarian lecturers, many of whom have graduated abroad, and guest lecturers from the Nordic countries. The Swedish Institute in Stockholm and the Norwegian Centre for International Cooperation in Education in Oslo sustain regular lectureships in Swedish and Norwegian and they are undoubtedly of great importance to the teaching and learning process. The curriculum of our programme involves intensive and in-depth learning of two or more Scandinavian languages, starting from a beginning level. Teaching takes place mainly in the university language laboratories. The language course is divided into various subunits - grammar, vocabulary, translation, conversation, phonetics etc., which help students to form learning habits and skills in the various spheres of communication. Lectures and seminars in phonetics and phonology, morphology and lexicology, syntax, word-formation and stylistics are taught in Swedish and Norwegian, which are currently the main languages in the programme. From the fourth semester onwards, the students also receive practical instruction in a second Scandinavian language of their choice - Danish, Norwegian or Swedish. The curriculum also includes a theoretical course on the Icelandic language and elective courses in Finnish language and culture. The course in the History of the Nordic Literatures is aimed at presenting the history of the Scandinavian literatures in the context of the European literary tradition. The students get acquainted with various intellectual-ideological and literary currents, eminent representatives of the Nordic literatures and fundamental literary works. The social studies curriculum includes one general and several specialized courses. With their help students become familiar with the history, culture, traditions and contemporary life in the Nordic countries and the role they play in Europe and the world today. Apart from the basic courses the curriculum includes a number of elective specialized courses aimed at making the students familiar with specific problems concerning literature, culture and linguistics. Among them stand out the courses in Nordic mythology, Practical problems of translation from Scandinavian languages, The dramatic works of Ludvig Holberg, Henrik Ibsen, courses presenting the life and work of August Strindberg, Hans Christian Andersen and Knut Hamsun, etc. Each year the Nordic countries offer various scholarships at their educational institutions. Some of these courses last several weeks while the longer specializations last three, four or nine months. 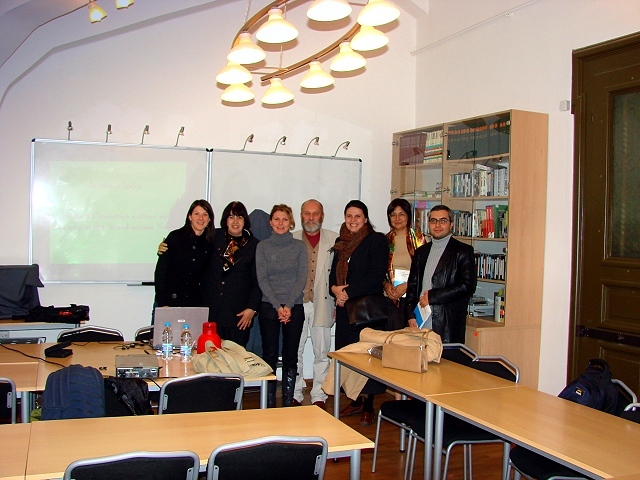 The admission of Bulgarian students to the Scandinavian studies programme is subject to the regulations at the Sofia University. The education in the Scandinavian Studies programme leads to a Bachelor's degree in philology. In order to apply the students have to sit for written exams either in English or German. The application conditions, all required documents and the procedures for taking the exams, evaluating the papers and classifying the results are regulated by the statute of the Sofia University. Each year at least 15 young people from the whole country enroll at the Scandinavian Studies programme, and, not unfrequently, students from Macedonia have also been admitted. According to officially announced statistics of the Bulgarian Ministry of Education, Sciences and Youth, the exam results of the students applying to the Scandinavian studies programme are often the highest ones compared to those of all candidates applying to the university and are equal, for example, only to the results of the students applying for the Molecular biology programme, Political sciences programme and the Japanese Studies programme. The education in the Scandinavian Studies Section is aimed at educating specialists with exclusive career opportunities in the sphere of culture, science and social services, teaching at school and university level, interpreting and translation. The specialists who have graduated from the Scandinavian Studies Section's Programmes often choose a career in the field of tourism and international relations or hold positions at civil institutions and state departments, at embassies in Bulgaria and abroad, in the mass media, in publishing houses, as well as in various state and private companies. The Bachelor's degree provides students an opportunity to continue their education by acquiring a Master's degree. Afterwards the students may apply for a Ph.D. programme in the Section. During the last ten years, we have had Ph.D. students in Swedish, Danish, Norwegian and Icelandic language, in historical linguistics and history of literature. Since the academic year 2004/2005, the Scandinavian Studies Section offers the Nordic Studies MA programme, aimed at bachelors in various subjects. During its three semesters the students acquire detailed and solid knowledge about the history, society, economy, culture and the national character of the Nordic countries. Studying a Scandinavian language is an important part of the curriculum. Since 2012, a MA programme in Scandinavian Studies (Language, Culture and Translation) ) has been offered to the students who already have a bachelor's degree in Scandinavian Studies. Current class schedules can be found here.